The Yatir winery is outstanding in many regards among Israeli wineries. First by its location. Imagine one of the hottest regions of Israel : we are here in the south, these are the slopes of the Hebron mountains, nothing would have grown here a few dozen years ago, the landscape was rocky and extremely arid at the border of the Negev desert which lies further on the south. The Yatir forest is a wonder by itself, it is the biggest man-made forest in Israel, and the extreme climatic conditions in which it was planted make the whole enterprise quite admirable. Lots of research, thinking and human expertise allowed this, but the idea was fathered by a single man : Ben Gurion, the first Prime Minister of Israel, who is said to have mandated the scientists of the country to study the practibility of creating a man-made forest here to bring this area back to life. The scientists, according to the story, said that it was not feasible due to the extreme climate there and the aridity, but when Ben Gurion was reported their negative answer he just said something like "No problem, let's change the scientists", and he pursued his personnal dream against common wisdom with the help of the KKL-JNF Fund. The result is amazing, a diversity and a wild life that you can even see on day time when it's hot (when the sun rises it must be worth to see). The Yatir forest as a pilot program has been a model for other desert region across the world. See this State of Israel document [Pdf] about desertification : on the climate/soil map of Israel, Yatir forest lies in the semi-arid region in the south (near Be'er-Sheva) and gets very little rain while the Golan in the upper-right corner is described as a humid region. And the Yatir vineyards, the planting of which having commercially begun in 1996, are nestled in the middle of this huge forested area [click on the picture on left, the pale-green patch in the middle is the vineyard]. These vineyards are surrounded by wild life and take advantage of the altitude and the terroir to resuscitate the wineries that were covering the region 2500 years ago (see the 1st story of this post). A clearing in the Yatir forestWe met Ya'acov Ben Dor, the manager of the winery in the middle of the Yatir forest along a small road [pictured above right]. He is a very friendly man and very humble too : I didn't know he was the manager at first and when I asked what he did in the winery, he said after a short hesitation that he helped other people make their job, admitting a few seconds later with a smile, I'm the manager... He happens to be a keen forestry specialist with a deep knowledge of the flora and fauna of the region. He appreciates my habit of routinely picking seeds of even ordinary-looking weeds along the road to plant them back in France and see what it gives (I hope no French forestry personnel reads this, it's forbidden...). He says that many visitors of the winery are not that much interested in the nature around. He shows me how intense such aromatic plant or such bush is, crushing leaves picked randomly here and there between his fingers, like this Achillea flower the leaves of which were so intensely aromatic. Further down, he picks some desert Oregano, another wildly aromatic plant, making oneself wonder if the draught or the soil explain such an aromatic strength. This guy is genuinely in love with this forest and its wildlife and it's not a marketing thing but a communicable passion. He says that he sees all sort of animals there, wolves, foxes, coyotes, birds, hyenas, gazelles, rabbits and he pointed to me several birds and iguana-like reptils along the way. Yatir's vineyard Yatir's vineyards make up 380 Dunams (38 hectares or 97 acres) spread on about 5 locations in the Yatir area. The lowest one lies at an altitude of 620 meters and the highest is at 900 meters. But they work with very small vineyard units, vineyard plot, each being being irrigated and harvested separately and monitored individually by computer. As you can see on the picture above, the orientation of the rows has been thought out and adapted to the particular slope and terrain. There's a total of 50 to 60 such single vineyards at Yatir that they care of separately, taking into account their own parameters. But until now they don't make a single-vineyard wine, the winemaker decides and blends accordingly with what he feels is best. We stop in a first group of vineyards totalling 18 hectares (180 Dunams) in the middle of the forested landscape.The area is protected by a fence from the wildlife but Ya'acov Ben Dor says that some animals still jump from time to time to reach the fresh leaves and the grapes. This is one-hectare block of Cabernet Sauvignon on clay and limestone, grafted on Poltzen R22 roots. After a few rows, another Cabernet plot grafted on Poltzen R23, then, further, Cabernet on Richter roots. They do many tries because this is just the beginning here and they need to experiment to which vines & roots adapt the best in a given terroir. The area was a wine-producing region in the past (2000 years ago) but now it's new and they have to learn everything again from scratch, the hard way. Further, we pass some Merlot and Petit Verdot (the latter, with a surface of one hectare, seems to fares very well in this area, he says). Further, Syrah (3 hectares), then Malbec (1 hectare), Carignan, Tempranillo, Mourvèdre (1 hectare), Viognier. At the beginning they planted Cabernet and Merlot, and they added the other varieties later, several are just 2 years old, no wine has been made from them yet. The forest around may show so agressive in its search for water that they had to bury an underground nylon "fence" to prevent the long-reaching roots of the trees to parasite the drip system of the vineyard irrigation. They also have to protect the vineyard from predators not commonly seen in the vineyards around the world : camels. Camels are kept under semi-free range by beduins in the region and from time to time one of them finds its way to the vineyard. They eat more than a combine harvester , he says with a laugh. In each of the 5 locations (we'll not see all of them) they try a wide range of varieties to augment the chances to find the right variety/soil combination. The Yatir winery's facility (built in 2000)It rains only maybe 100 mm of rain every year on this region, and the downpours occur only in winter. Just for comparison, Tel Aviv gets 500 mm and the Upper Galilee 800 to 900mm. In summer, evaporation is very high due to lots of wind with the heat. It's good on the fungi side but the hydric stress is enormous. I spotted some relatively young vines that seemed to suffer a bit (the leaves seemed to bend a bit) and he says that they try not to water them down so as to let them root deeper and thus be able in the future to sustain the summer heat. Driving across the Yatir forest again, we stop at a site named Kurvat Anim with ruins of several ancient buildings, including a synagogue [picture above, right] which was destroyed during the muslim invasion. The area is covered with remains of ancient jewish civilization (word file) among which winery presses and vats that were too hard to destroy and survived until now. The Yatir forest thus epitomizes the meeting between antiquity and the revival of the wine culture of Israel. Driving outside of the Yatir forest, we take a road that borders the desert, with the Negev desert beginning somewhere in the left, to Be'er Sheva, the main town south of here. Some rare species live around here, like the Jackulus, a small rodent from the family of Kangoroos. We pass a couple of dusty villages inhabited by beduins who decided to settle, with camels and goat herds watched by young boys here and there in the vicinity. The winery is located in Tel Arad, close enough to have the grapes brought in time when harvest day comes. They don't use any purchased grapes at Yatir, which is still rare in Israel, they grow all the grapes they need, and the proximity of the vineyards helps also work correctly the grapes after the harvest. Entering Yatir's vatroom Before reaching the winery, we pass the ruins of ancient Tel Arad dating back from the King of Salomon.You will see that this has an importance relating to wine in Israel : a major find has been made in this area, consisting of letters made on postherds, "Ostraca", in which the military commander of the place orders wine for his soldiers, and this dates from some... 3000 years ago. Read at the bottom of this page the translation of the writing. We arrive at the winery, a modern warehouse-looking building, where we meet Eran Goldwasser, Yatir's winemaker, who is Australian trained and graduated from the University of Adelaïde. He begins by saying that the vineyards we just saw with Ya'acov Ben Dor is the main feature of Yatir.The winery is a modern winery. An orthodox jew standing inside the vatroom reminds us that the winery is kosher, kashrut observant and that we must not touch the tools or casks. About the varieties they had planted, Eran Goldwasser says that they have also Sauvignon Blanc, also Chardonnay and Viognier in addition to all the 5 Bordeaux varieties and the other varieties that we saw ourselves. Speaking of pesticides, they need much less sprayings than elsewhere he says, because of the particularly dry and hot weather. Almost no Flowerly Mildew here, there may be a bit of powedered mildew occasionally but they spray only if they need to. View on the vatroomAs we enter the facility after exchanging a few words outside, Eran Goldwasser says that the fact that the winery is following kosher rules doesn't interfere with the quality of the wine. Everything is temperature controlled and they have a vat for every vineyard plot for a separate vinification. The fermentation can take from 5 days to 3 weeks. He tastes the juice regularly but he has to ask his kashrut staff to draw the sample for him (as a non-observant jew, he can't go to the casks and draw some wine himself), it just asks for a bit more planning and organization which is not that difficult. Eran Goldwasser shows the stainless-steel vats which he consider as very practical because the fermentation takes place on the top and the storage below in the same vat in a separate container, so that the wine can be drawn by gravity only. Also, the upper part is self-emptying, allowing an easy pouring of the skins into the basket press that can be moved up by forklift [see the press above]. Everything is destemmed at Yatir. After the vat stage, the wine goes into barrels, the huge temp-controlled barrel room being in the same facility. A worker is busy doing the topping as we tour the barrel warehouse. They use barrels from several cooperages, from France, Eastarn Europe, Spain, USA. They buy them new but keep them a long time. The air is kept here at 15°C and 77% humidity all the time, like it would be in a good underground cellar when outside it's 30° and much more in the middle of the summer. Religiously-obsevant staff in the barrel room The barrel room adjacent to the vatroom holds a huge amount of casks piled on each other. There is a total of about 800 casks at Yatir. Some of the wine here will be shipped to Carmel. You may know that Yatir winery is owned by the wine-giant Carmel but Yatir is fully independant in the managing of the winery and in the making the wines. They still have some common ventures together, like after the wine has been 9 months in the casks, they give some of this wine which will be used by Carmel, but Yatir chooses which wine they keep for themselves and which wine they give to Carmel, so it doesn't jeopardize their independance. Yatir's wines will stay longer in the casks. The fermentation lasts 5 days to 3 weeks, Shiraz needing no more than 5 days while Merlot needs more time, so they adjust each variety. They try to make the malolactic fermentation in the vats because here in this region it happens very fast : the vintage [the early winemaking process I guess] is at the end of august, beginning of september when the temperatures are still high and the malolactic fermentation comes very quickly, allowing them to go to oak right after this 2nd fermentation. For the fermentation they use yeasts, Bordeaux yeasts or Rhone-valey yeasts for example. Outside of that, the only other thing they use is sulphur. They don't filter, they let the wine sediment naturally. The red wines are aged on fine lees and after a year in barrels everything will be settled. sometimes they do a simple (not total and not sterile) filtration just to clean a little bit. Blending vatsThese 36-hectoliter wooden tronconic vats made by Radoux (and the other ones on the right) are used for the intermediary stage between the casks and the bottling stage. This help them minimize filtration even more as the wines are blended here, then let sit for about 2 months before going into stainless-steel again and bottled at last. The white polymer vats on the right are 50-hectoliter containers made in Australia and the maker (I forgot to ask but I think it's Flextank) says that as the fabric is not totally airtight and that there is an exchange between the wine and the outside air which is similar to the one occurring in used barrels. They're much cheaper than the wood vats on the left and if they did the job well it could be a good alternative. This is the first year that they used these Flextank vats and they are conducting trials to see how it works on the wine. Right now they dont have enough of these intermediary vats (tronconic or polymer) so only part of the wine gets this transition stage. As I'm asking about the impressing orthodox-jew with a beard who stay with us, he says he is the supervisor here and has worked here for many years. There are 4 people in the winery as permanent staff plus more people for the vintage [the vinification stages]. The facility could handle a 300 000 bottles output (they produce 120 000 bottles right now) but at the moment they are happy with the way things are going. They just have margin if the market expanded in the future. __Yatir Sauvignon Blanc 2008. Fermented in stainless-steel vats, then elevage part in stell vats, part in used barrels (4-5-year old). Lots of freshness on the nose. In the mouth, a good acidity, but richness too, makes a nice balance. 12,5°. Harvested early (late july). Yields : 15 tons/hectare, makes 70-hectoliter/hectare. Not a low yield, he says. The wine is very aromatic too. Costs 65 Shekel (12 Euro or 16 USD). __Yatir 2005. Blend made of Merlot (37%), Syrah (36%), Cabernet Franc (15%), plus some 12% Petit Verdot. 14,5%. Intense lingering aromas of encense, myrra (am I right ? ), dark fruit. Mediterranean herbs too. Glycerol legs on the glass. Beautiful mouth, this wine is good ! Costs 100 Shekels (18 Euro or 25 USD). __Yatir Cabernet Sauvignon 2005. Actually 85% Cabernet Sauvignon plus 15% Syrah. 14,5°. Price : 120 Shekels (22 Euro ou 30 USD). Nose : jammy fruits. Plum. English tobacco, I would say too. In general at Yatir, wines are released almost 3 years after the harvest. 2005 was really a good year at Yatir. The wine from Yatir improves year by year. They are one of the best of the recent generation of Israeli wineries and although their wines are not cheap by local standards they still offer good value for money because the quality is good and dependable. Hi My name is kim amzallag. I was trying to reach eran goldwasser at the recommendation of adam mukamel, I am director of sales and marketing for kosher inspired magazine the new food magazine from mishpacha. 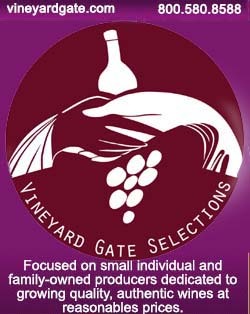 we are currently working on the pesach issue and yatir winery would find a great readership. my email is kim@kosherinspired.com and my phone # is 917-318-5725. If you would be so kind to deliver this message. Time is of the essence. we are on sale march 30th and print the magazine in israel march 23rd. so the ad deadline is approaching fast on March 16th. Thank you so much for your immediate attention. Congalutations for your awesome web site, i'm big fan of your articles, i planned up to israel mid of april and would like to know if you can suggest me two wineries i must to visit among your selection, like organic with much emotions?